There are many models for focusing on what drives people. 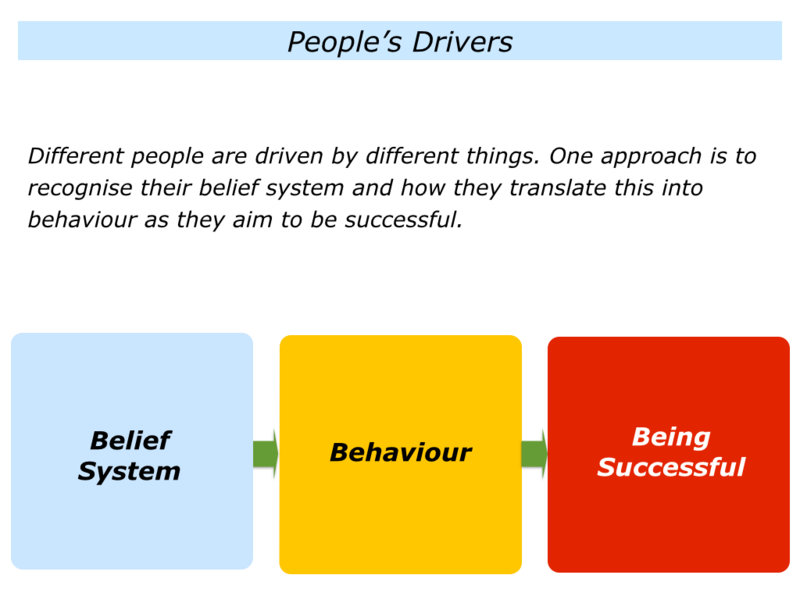 One approach is to recognise their belief system and how they translate this into behaviour as they aim to be successful. Here is a short overview of this approach. They have certain beliefs about what they think is important in specific areas of life – including what success looks like in these areas – and how people can behave to be successful. They translate these beliefs into behaviour and do what they think will help them to be successful. They keep pursuing their chosen route and do whatever they can to achieve what they believe is being successful. Belief systems go beyond ‘what’ people think is important in life. They also comprise elements of ‘how’ it is important to behave to achieve these things. People may say, for example, that ‘what’ they believe is important is to have a happy family, do satisfying work and make a positive contribution to the planet. People will have different beliefs, however, about ‘how’ to achieve these things. Some will believe in putting family first, doing satisfying work and earning a salary that supports these things. Some will believe in making lots of money, which will then lead to them being able to support the family and then, one day, turning the hands to doing satisfying work. People make their choices about what they believe is important and how to achieve it. Each choice does, of course, have consequences. Here is an example of one person who shifted her belief system. Carrie Bedingfield believed in working more hours to be successful. But then she adopted a different approach that worked. Imagine that you have a role where people ask you for help. You may be working as a coach, therapist, mentor, trusted advisor or whatever. Different people use different approaches to help others to reach their goals. One approach is to start by focusing on the top of the iceberg. It is to clarify whether or not the person is being successful. 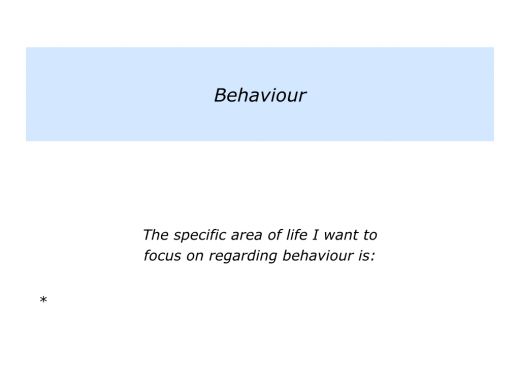 It is then to explore how the person can take the behavioural steps required to reach their goal. Another approach is to start from the person’s belief system. It is then to focus on how they can translate this into behaviour on the road to being successful. This is an approach that I have used with individuals, teams and organisations. You would, of course, apply it in your own way. What they believe it is important to achieve in the specific area – including their picture of success. Why they believe it is important to achieve this picture of success. How they believe they can do their best – including the principles they can follow – to achieve the picture of success. Who they believe needs to do what and how they need to behave to achieve the picture of success. When they believe these things need to happen to achieve the picture of success. Imagine that you are trying this approach on yourself. If you wish, try tackling the exercise on this theme. This invites you to clarify your beliefs about a particular area of life. You may want to focus on health, happiness, education, work or whatever. Describe the specific area of life that you want to focus on. 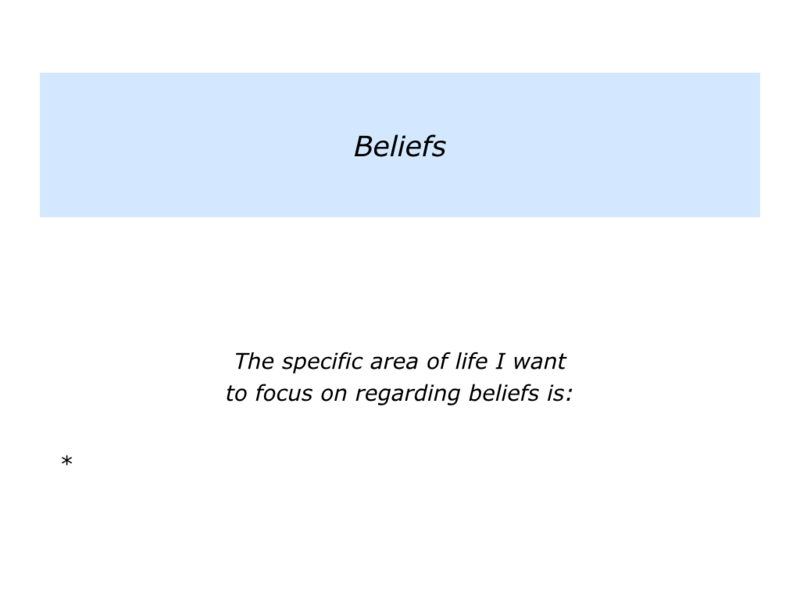 Describe what you believe is important in this area of life – including what you believe success looks like – and how to behave to be successful in the area. Let’s move on to the next step. Imagine that you have clarified your beliefs in a particular area. In my own life, for example, I want to focus on how to have a good death. This may sound paradoxical, and some people may find it morbid, but we are all going to die. So what can I do to try to have a good death? Obviously it will be important to manage any pain. It will be important to encourage people, to appreciate the experiences I have had and to remember the things I have tried to contribute. Being an educator, I turn most things into educational projects. When I was diagnosed with prostate cancer, for example, I quickly turned this into a blog. This helped to let men know about the pioneering less-invasive treatments for the illness. Bearing this in mind, how can I translate my beliefs about living a good death into actions? How can I behave? How can I continue to give to the world? 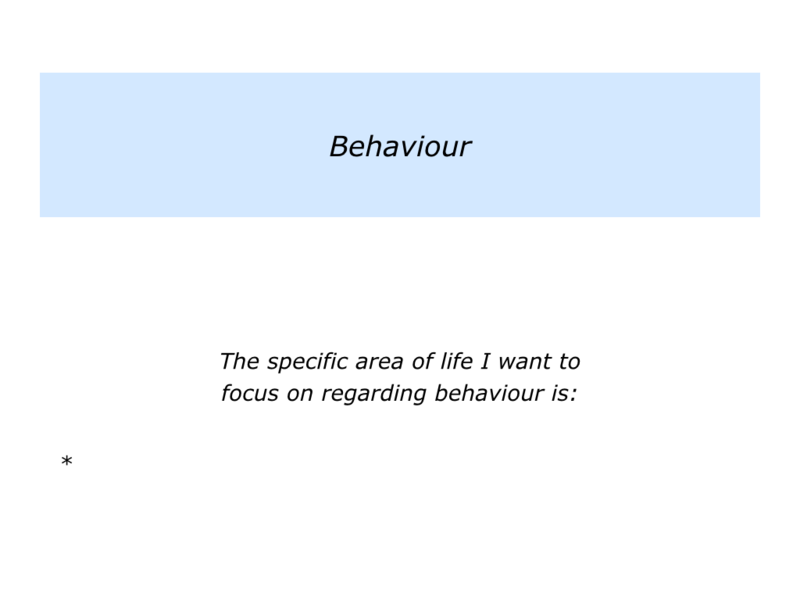 If you wish, try tackling the exercise on the theme of translating beliefs into behaviour. Building on the previous exercise, this invites you to do the following things. Describe the specific things you can do to translate your beliefs into behaviour on the road to achieving success in this area. During the past 40 years I have worked with hundreds of teams and organisations. Many of the successful ventures involved building on their positive belief systems. There are many ways to help people clarify what they believe in. During the 1970s, for example, it was popular to use approaches from sports psychology. This invited people to recall their best performances. They then explored how they could follow these principles in the future. Good leaders used a similar approach when building values-driven organisations. They began by inviting people to recall when they had done fine work and the values they embodied. These values became the guiding compass for the organisation. When the final version of the values was presented, these had to resonate with people. People needed to look at them and say: “Yes, that is us.” They then focused on living the values, rather than just laminating the values. To clarify when they have tackled a similar issue in the past and performed brilliantly. To clarify how they can follow these principles again – plus maybe add other skills – to perform brilliantly in the future. AI enables people to build on what they believe in. They have succeeded before, so they can do it again. You can discover more via the following link. People can follow different routes towards achieving their goals. Sometimes they build on their beliefs and translate these into behaviour. They then do their best to achieve their picture of success. If you wish, try tackling the final exercise on this theme. Building on the previous exercises, this invites you to do the following things. Describe the specific things that will be happening – including the things you will be feeling, thinking, saying and doing – that will show you have been successful in this area.